Happy New Year Strong Girls!! I hope you had a blessed and happy holiday season with your family & friends. Probably like you, I get the news in my Facebook feed, and I see and hear it on t.v. I like to stay informed about what is happening in our world. Advent is a time we consider the darkness and wait hopefully and expectantly for the light. THE LIGHT. Christ. Something always happens, eventually, no matter where you are, who you are, or what you are going through. Every single day. 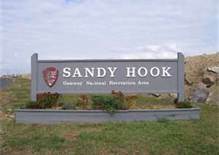 The Sandy Hook tragedy has me in awe of the world-changing women ( and men) of that day. Success requires cultivation of the genius and soul inside you. Not the constant chasing and ingesting of more information.